Dexcom is making more friends. Already having partnerships with Animas and Omnipod, Dexcom has now signed a research and development agreement with Roche Diagnostics U.S. The plan is to integrate Dexcom's continuous glucose monitor into Roche's insulin pumps so you can see trends and blood glucose data in one handheld device. OUTDATED Dexcom - Transdermal Glucose Oxidase Enzyme. Please visit our Dexcom Info page. 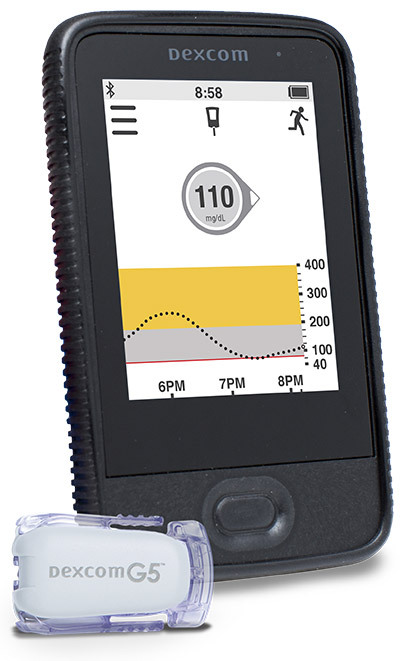 A continuous glucose monitor reveals short-term trends in the blood sugar as they happen. The monitor reads out a constant stream of glucose data every 1 to 5 minutes. You can see the direction your blood sugar is taking in the last 1, 3, 6, 9, 12, or 24 hours, depending on what times your specific monitor offers. This gives 288 to 1440 readings a day compared to the 4 to 8 fingerstick readings you rely on with a meter.